Outshot, outworked, outplayed and it didn't seem to matter for the Pittsburgh Penguins. Somehow they managed to come out on top all the way to the Stanley Cup Final. It may be time for a change of approach. Through two games of the Stanley Cup Final the formula continued to work, inexplicably. Outshot, outworked, outplayed, and the Penguins were up 2-0 in a series they had every right to be behind. Playing a version of Suicide Hockey akin to living by the three, dying by the three approach of many basketball teams with high end talent like the Golden State Warriors was continuing to work. And then they went to Nashville. Suddenly the opportunistic offense dried up. 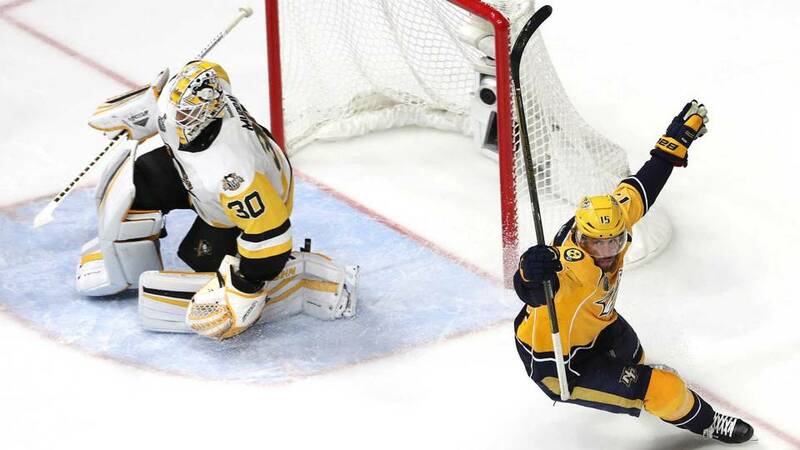 Pekka Rinne returned to Cinderella's chariot after his turn in to a (porous) pumpkin and just like that the Penguins and Predators were in a Best-of-3 series. A lot can be attributed to this. Matt Murray struggled in two games in raucous Nashville (five goals, .848 save percentage in Game 3; four goals, .880 save percentage in Game 4). Pekka Rinne posted back-to-back .964 and .958 save percentages. Just like that the script flipped and the other offense become opportunistic. The 2016 Stanley Cup champions thrived on controlling play and dictating flow. The 2017 Stanley Cup Finalists have managed to make it by jumping when they've needed to, letting the other team press the pace. Whether through decision or attrition, it's hard to say (it's really not, the defense can't find an outlet to save their lives). It's this that has caused the Penguins fits. It's this that needs to be fixed. While easier said than done, for the Penguins to have a realistic shot at winning two of the next three they have to be better than before. This series could easily be over if Pekka Rinne hadn't forgotten how to goaltend. They were spotted two games and now only have to win two games on their own. Relying on what got them here isn't enough to do it. It's up to Matt Murray to be better. It's time for the defense to settle and find its way. It's time for each Penguin, to a man, who has said they've yet to play their best game these playoffs (and that's about all of them) to play their best games for the next three. It's time to stop being opportunistic. It's time to start dictating. If they can't find a way to do that, the Cup heads south. And the Penguins will have no one to blame but themselves.